CPTV PBS Kids is a new free, 24/7 children’s service. This live stream is now accessible through the PBS Kids Video Player, now available on cptv.org (click here) as well as on pbskids.org, and on the free PBS KIDS Video App for mobile and tablet devices. 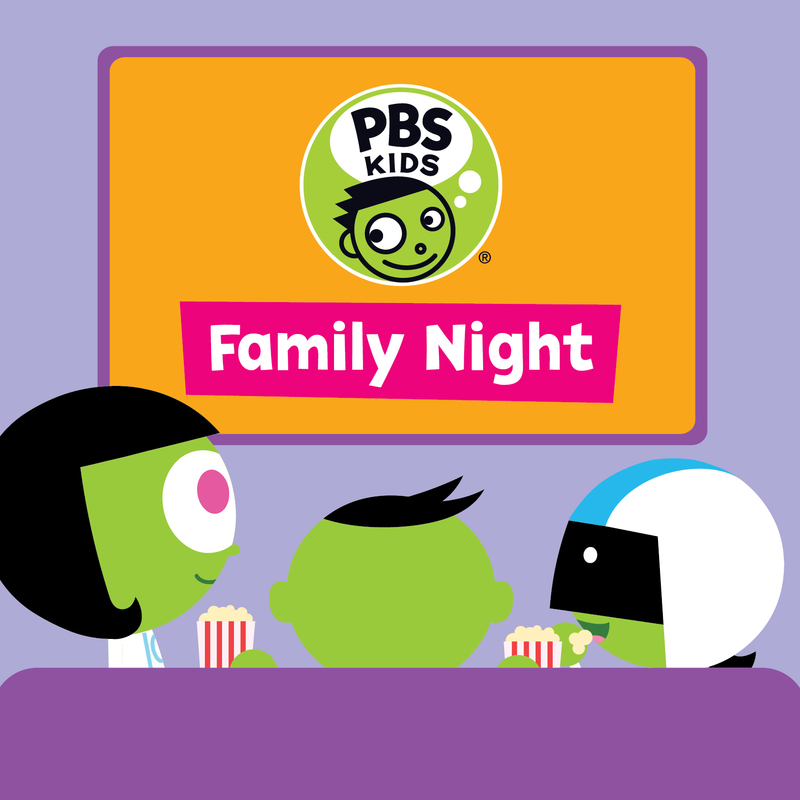 Now, kids and parents can tune in to CPTV PBS Kids together for “Family Night” programming on Fridays from 7 to 9 p.m., with features encoring on Saturday and Sunday evenings. Enjoy movie specials and themed programs for the whole family! Sesame Street: The Cookie Thief – May 26, 2017 (Encoring May 27 & 28) This nail-biting, cookie-munching thriller celebrates the arts and delights Cookie Monster fans of all ages. A cookie art museum has just opened on Sesame Street. Surrounded by beautiful cookie paintings, such as “Girl with the Cookie Earring” and the “Muncha Lisa,” Cookie Monster and his friends feel as though they’re in a whole new world. But when art suddenly starts to disappear, Cookie Monster quickly becomes a suspect. Can he clear his name? Will they find the missing art in time or will Cookie Monster be banished from the museum forever? In this all-new Arthur movie event, D.W.’s fifth birthday doesn’t go the way she’d always imagined it would, and she decides to escape to the magical island of Ukubonga. Meanwhile, Arthur has skipped her birthday party to go on a school trip to the planetarium – but instead of transporting him into outer space, it transports him four years into the future! Nature Cat and his pals go on an aquatic adventure to save Hal’s favorite chew toy. Along the way, they learn that all waterways are interconnected and meet up with a new special friend named Nature Dog who helps them navigate the oceans. While creature adventuring in Alaska, one of Aviva’s breakthrough inventions falls overboard and attaches to a sockeye salmon — jumpstarting a wild chase upriver through the wilderness. The Wild Kratts track the incredible salmon run, a quest fraught with obstacles and amazing creature connections around every bend. When Jet’s parents need to return to their home planet, Sean and Sydney join the Propulsion family for on an epic adventure to Bortron 7. This Halloween is sure to be the spookiest ever for Arthur and his friends. While trick-or-treating, Francine meets an elderly woman with a very mysterious past, while Binky finds himself at Mr. Ratburn’s amazing haunted house (that’s scarier than math class!). And as for Arthur, Buster, and Ladonna? Their tree house sleepover seems to be haunted… but by what? An all-new Sesame Street special goes back in time to show how Elmo’s ancestors – not to mention those of Grover, Big Bird, Bert, Ernie, Oscar the Grouch, and Cookie Monster – helped transform “the most unfriendly street in town” into the bright, kind, music-filled place it is today. When Oona, Olympia, and Otis accidentally change the past, they undo every odd case Odd Squad has ever solved! The agents embark on a mission across time to set things right! Click here to view the full Friday night schedule on CPTV PBS Kids schedule through August 2017.